Being aware of challenges such as biodiversity loss, undervaluation of women’s labour in rural areas, and the overuse of agrochemicals motivated the development of LifePatch and the creation of Plantasia. Plantasia is an organization that connects local plant nurseries with communities promoting ecological regeneration in Mediterranean climates like Chile. 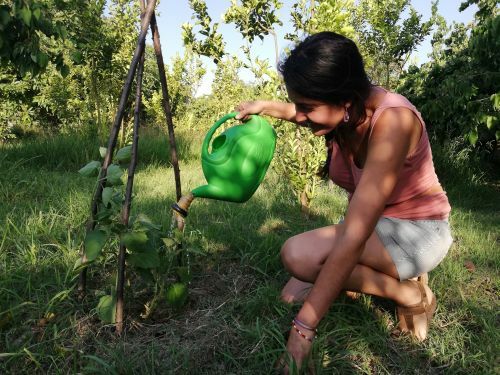 The project aims to regenerate ecosystems through implementing swarms of micro biodiversity hotspots, co-designed with botanical-wise local women and fostered by rural and urban communities. The idea draws inspiration from clusters of plants and cushion species, like Yareta, that nurse and shelter seedlings and other lifeforms in harsh environments. A LifePatch unit is a selection of plants supported by a biodegradable base. In five years time, Plantasia expects to have implemented enough units of LifePatch to allow it to abstract the patterns and structures needed to replicate and consolidate the model in other regions as an efficient way to regenerate ecosystems.